With a goal of higher rail safety, modernization of local lines, lower costs and improvement of performance for 28,000 kilometers of lines in Europe, the European project ERSAT EAV has been evaluating the adoption of the European satellite system for the local rail networks. Several field tests in Italy, Sardinia and Germany have taken place, and the project’s highlights were recently presented in a workshop organized by ASSTRA (the Italian association of local public transport companies and rail transport undertakings), a partner of the ERSAT EAV project. Event participants included the European GNSS Agency (GSA), the Italian Space Agency (ASI) and the Italian Agency for Safety in Rail (ANSF). Ansaldo STS has provided an overview on the field test results in Sardinia and Germany on about 15,000 kilometers travelled during which Radiolabs has demonstrated the improvement of performance achieved with the new Galileo system and EGNOS (European Geostationary Navigation Overlay Service) network – both European satellite infrastructures available for ERTMS. The ERSAT EAV (Ertms on SATellite Enabling Application and Verification) European project achievements were presented at the workshop held in Roma on January 30, 2017. The project was awarded to GSA following a competitive tender in the frame of H2020 research program. It started in January 2015 with Ansaldo STS coordination and approaching its conclusion. The project has benefitted by an active contribution from ASSTRA, along with research centers, industries, and universities with national and international rail operators. The primary mission of the project is to make significant steps toward the validation of satellite technologies— recently included on the ERTMS — for reducing the operational costs and to guarantee the highest level of safety (SIL 4) along the lines of the previous project 3InSat, which was approved by ASI and co-funded by ESA. 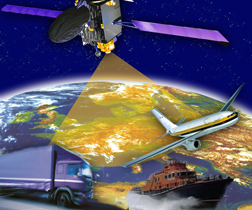 The main focus of the project is to assess the European Global Navigation Satellite Systems – EGNSS (including EGNOS and Galileo) for safety relevant applications in the regional lines environment. In this frame the accurate train localization based on satellite represents the major project’s objective opening the way to defining a standard for the ERTMS. The ERSAT EAV requirements have been harmonized by RFI, DB and ASSTRA – that has contributed to the analysis of user needs in Italy, Germany and France – for local and low traffic lines, by exploiting the geo-localization and public telecom networks to significantly reduce dedicated equipment along the line. 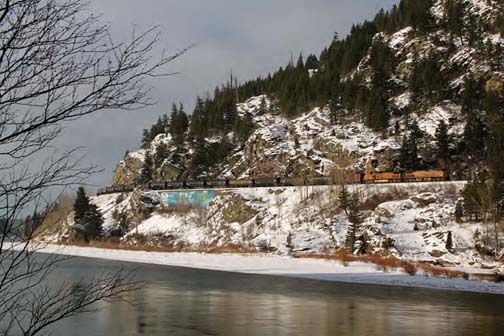 The survey performed by ASSTRA has underlined the interest of the rail sector for a solution that can lower the costs without impacting on the performance. GSA has presented the validation and certification roadmap for the satellite technologies in the rail sector which according to GSA will be one of the main beneficiaries of EGNOS (already operational in the aviation sector) and Galileo, whose pre-operational service was inaugurated last November. These technologies are expected to bring important benefits to the citizens and for this reason ASI has included the rail applications in the frame of the new programs approved at the ESA Ministerial Conference. The March-April 2017 issue of Inside GNSS will feature an article on technology and business models involving GNSS for ERTMS train localization. Also, an ERSAT Operational Demonstration is planned for Feb. 24, 2017 at the Cagliari railway station in Italy. A region in France is working with SNCF (National society of French railways) to foster the emergence of new solutions, including GNSS technologies, for the operation and control of regional trains and railway infrastructure. The Occitanie/Pyrénées-Méditerranée Region and GUIDE (GNSS Testing Laboratory) signed an agreement last September to open a railway line to field tests for companies seeking to perform assessments aboard trains. The Geofer project, managed by GUIDE, will allow the testing of applications in operational situations. Through the Geofer project, the Occitanie/Pyrénées-Méditerranée Region is pursuing two strategic goals. The first aims to strengthen mobility within the region through better control of operating costs. The second is to diversify industrial activities with rail. The project could lead to modernization of secondary lines of the national railway network by embedding, for example, some functions of railway signaling. The test region — the Tessonnières-Rodez line (Tarn/Aveyron) — crosses a mountainous area meant to conduct tests in constrained environments.